Washington offers a prospective accountant quality, rather than quantity through its around 30 colleges and universities with accounting programs available. Out of these, the University of Washington’s undergraduate and graduate accounting programs were ranked at #19 and #21 respectively in the Public Accounting Report 2013 survey of accounting professors, while Gonzaga University secured the 17th and 20th place respectively in the small institution category. The University of Washington’s Michael G. Foster School of Business was rated by US News as the 11th best accounting school in the country and its contributions to financial accounting research are nationally recognized. 2 What Do I Need to be a CPA in Washington? If you have decided to become an accountant or a Certified Public Accountant (CPA), choosing an accounting program is one of the most important decisions you will face. With the difficult CPA exam and strict CPA license requirements ahead of you, you need to make sure that you choose an accredited, rigorous, top quality program to help you succeed in your career. The program you choose should be accredited by the AACBS or by the state accountancy board and should offer a mixture of real-world accounting experience and quality teaching and assessment. 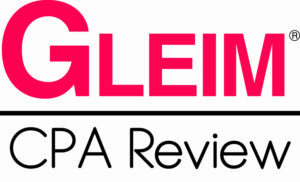 To gain insight into the effectiveness of the program, you can ask to see the most recent pass rates achieved by graduates on the CPA exam, as well as students’ evaluations of the course and the instructors. You should also consider how this program will enhance your employability: look at the student organizations active on campus, at placement opportunities and the presence of well-known accounting firms on campus. Washington is home to many firms that target graduates of prestigious accounting programs. Make sure to choose a school that will maximize your opportunities to get involved and start your career as a student and as a graduate. What Do I Need to be a CPA in Washington? If you’ve got the right combination of business skills and aptitude for analysis and math, an accounting career might be perfect for you. While the way to becoming a licensed Certified Public Accountant (CPA) is long and fraught with challenges, the profession is highly rewarding and offers plenty of different employment possibilities. Choosing the right accounting degree program may be the most important decision you take on the way, as this can strongly influence your employability and your ability to succeed on the CPA exam. 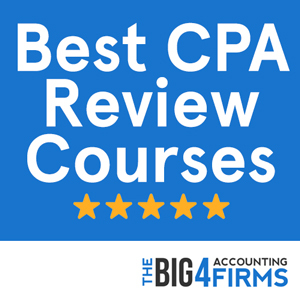 You will need a minimum of a four-year Bachelor’s degree in accounting or a related field, but if you intend to become a CPA you will be required to undertake additional coursework in order to complete 150 credits before you can sit for the CPA exam. After the exam itself, which is famous for its low pass rates, you will need to complete an ethics requirement and acquire a certain amount of experience in order to be eligible for a CPA license. Moreover, the renewal of your license might depend upon the completion of continuing professional education courses throughout your career. The Washington CPA requirements can be summarized as the three E’s – education, exam and experience. Candidates wishing to sit for the CPA exam in Washington are required to complete a minimum of 150 semester hours that include a higher degree with an accounting specialization, defined as 24 semester hours in accounting courses (at least 15 of these should be at the graduate level) and 24 semester hours in business administration courses. In order to obtain a CPA license, candidates must pass the CPA exam and acquire a minimum of 12 months (2,000 hours) of experience verified by a licensed CPA. They will also need to complete a professional conduct course and pass the exam with a minimum of 90%, as well as complete a board delivered course on Washington board policies and rules with a minimum of 90%. Washington is one of the top US states in terms of employment and pay level of accountants. With an annual mean salary of approximately $73,000 in 2013, Washington rises above the national average. Accountants can find plenty of career opportunities in the state, ranging from accountant jobs within the major companies headquartered here to small business operations, roles within the government, the non-profit sector or self-employment. can lead to a higher level of pay, while experience can also lead to a significant pay increase. Highly ranked by the US News report (26th best at the undergraduate level and 14th at the graduate level), the accounting program at Gonzaga University offers a competitive alternative for Washington accounting students. The undergraduate program in accounting offers two options: a non-CPA track that leads to a BBA in accounting; and a CPA track, whereby a student can earn the 150 credits required for the CPA exam either at an undergraduate level or at a graduate level by completing the Master of Accountancy degree. 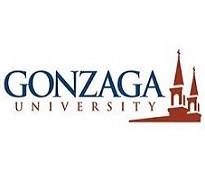 The undergraduate curriculum at Gonzaga University covers general accounting, cost accounting, taxation and auditing. Students pursuing the graduate level accounting program may choose between the specialization in financial accounting and reporting and the one in taxation. Gonzaga University students consistently achieve higher than average pass rates on the CPA exam, with a first-time pass rate in 2012 ranked as 14th best in the country. The program also boasts high employment rates after graduation and brings a quality study option to the dynamic Washington accounting scene. The AACBS accredited Foster School of Business at the University of Washington offers one of the best accounting programs in the country. The program is designed to prepare you for the challenges of an accounting career. In addition to the undergraduate degree program with a specialization in accounting, the Foster School also offers a Master of Professional Accounting that can help you earn the number of credits required to sit for the CPA exam. Situated in Seattle, home to many important companies, the University of Washington offers plenty of opportunity for students to advance their careers. Through internships and the activity of organizations such as Beta Alpha Psi, the university can connect you to the real world of accounting and lays the foundation for you to progress in the thriving business community of Washington. The Albers School of Business and Economics at Seattle University ranks 18th in the country for its accounting program. Its graduate accounting program is rated as 14th best in the U.S., while the Princeton Review, Businessweek and the Fiske Guide all rate Seattle University highly. The AACSB-accredited Albers School prides itself on a rigorous approach to accounting studies and a focus on experiential learning. The latter is achieved through volunteer activities, student accounting organizations such as Beta Alpha Psi and the Accounting Society, the accounting internship program and efficient job placement services. As an undergraduate student at Albers school you can opt for a Bachelor of Arts in Business Administration with a major in Accounting. You will need to take general education courses, business foundation courses, accounting required courses and electives. Business undergraduates are also required to pass the EXCEL Level 1 Certification Exam. If your goal is to earn your CPA license or simply to gain advanced knowledge in your field, the Master of Professional Accountancy at Albers School may be the right choice. The curriculum will include advanced accounting, business, management and technical courses including topics such as auditing, taxation, valuation, investments, strategic accounting, leadership skills and business statistics. You can complete the Master of Professional Accountancy part-time (in 2 to 4 years) or full-time (in 1 to 2 years). Alternatively, you may pursue the MBA program at Albers School with a formal specialization in accounting. This requires ten elective courses covering topics such as financial accounting, cost accounting, taxation and information systems. If you are interested in finance, you can also enroll on the unique Master of Professional Accounting – Master of Science in Finance joint program. This degree will allow you to earn both degrees in a time-effective way and thus enhance your qualifications for a range of careers.